Micromax has launched its new tab in its Funbook series named Micromax Funbook P365 in the Indian Market.The price of Micromax Funbook P365 is Rs.4,500/- and is now available to buy from the official site. 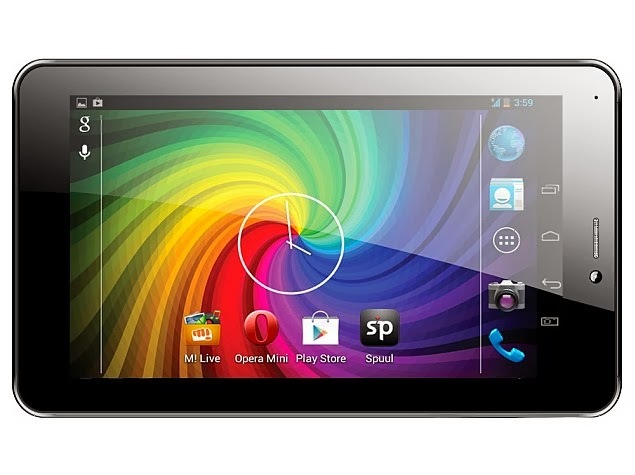 Micromax Funbook P365 sports with a 7 Inches capacitive touch screen with a screen resolution of 800x480 Pixels.The tab is chipped with a 1.2 GHz Cortex A9, Mali-400 GPU with 1 GB RAM . It runs on Android v4.2.2 (Jelly Bean) OS. The tab comes with 2.0 Megapixel rear camera and 0.3 Megapixel front camera with video calling.Micromax Funbook P365 comes with 4 GB of internal memory and can be expandable upto 32GB via microSD card slot. The connectivity features of Micromax Funbook P365 are Wi-Fi, 3G,Bluetooth, microUSB and 3.5mm audiojack.The battery capacity is loaded with 2800 mAh Lithium-Polymer battery,which gives a standby time up to 60 Hrs and usage time up to 4 Hrs (Browsing).